We get it. You see flakes on your shirt and it’s not snowing outside. You declare that you have dandruff. So you go and buy a decent anti-dandruff shampoo. After a few washes, you realize, it did nothing for you. So you try to find some more information on dandruff and come across this disease called ‘seborrheic dermatitis’. Now, you’re wondering if you really have a scary-sounding condition or you just bought an ineffective anti-dandruff shampoo. Or, maybe you’ve had this condition for a while and know all about. Maybe you’ve had it under control all this while with a good seborrheic dermatitis shampoo that’s been working for you. That is up until recently. Anti-fungal, works for seborrhea, and contains aloe vera. Relieves seborrhea while keeping hair soft, smooth, and bouncy. Phenomenal success rate and works against long-standing seborrhea. How is it different from dandruff? Why Do You Have Seborrheic Dermatitis? Why is your shampoo suddenly not working? How to pick a seborrheic dermatitis shampoo? First things first, it sounds like a disease because well, medically speaking it is. However, you have nothing to fear, it may be classified as a skin condition but it isn’t serious at all. It’s itchy at best and flaky at worst. In fact, only a fraction of the cases require serious medical intervention. With the right information, you can successfully manage it and even forget that you have it. Now, for the rest of the questions, let’s go. Seborrheic dermatitis is a condition of the skin, particularly of the oil glands. This condition causes red patches and dry flaky skin on the scalp. It can affect even other parts of the body that contain a lot of oil (sebaceous) glands. It is a fungal condition and affects about 4% of the population. Men get it more often but women get it worse in terms of symptoms. It can happen at any age but it peaks in adolescence. It is also commonly seen in babies as a ‘cradle cap’. For a lot of people, it appears then resolves itself only to resurface again. If dandruff and seborrheic dermatitis both lead to flaky skin, then what is the difference between the two? To understand this, you need to think of dandruff as a symptom. This symptom can be a result of any number of underlying causes. Seborrheic dermatitis is one of the causes of dandruff. You can also think of seborrheic dermatitis as a category of dandruff. This means that we can say that all ‘seb derm’ is ‘dandruff’ but not all ‘dandruff’ is ‘seb derm’. How do you know that you have it? How do you know you don’t just have dandruff? Well, seborrheic dermatitis looks like a rash. Its red, inflamed and is characterized by dry flaky skin. Dandruff can also produce flakes but it’s not associated with red inflamed skin. Another thing to note is the appearance of the flakes themselves. While the dandruff flakes are somewhat powdery, white, and smaller, seborrhea typically produces flakes that are slightly bigger and white to yellow in color. The yellow tinge in the seborrheic dermatitis flakes is because of the oils in it, which is the underlying cause of the condition itself (more on that below). Another difference to note is that while normal dandruff may only appear on your scalp, seborrheic dermatitis can appear on other parts of the body too. Such places include the sides of your nose, upper back, and chest. If you’re still not sure if what you have is actually seborrheic dermatitis, the best course of action is to see a dermatologist. Nobody knows the exact cause of why it happens to some people, although there is a genetic component to it. Researchers have now found an inseparable link between this condition and a type of yeast known as Malassezia. This yeast is commonly found on the scalp of most people. It feeds on the natural oils produced by the sebaceous glands and leaves a residue. Some people are allergic to that residue and the body starts shedding the top layer of the skin in an attempt to get rid of it. The redness and inflammation are due to this negative response in the scalp. Why this happens only in some people is not known for sure. If you are one of the unlucky few however, it is important to know the underlying cause of seborrhea and differentiate it from dandruff for a very important reason. Many people think that they have dandruff and start using oily products. These oily products add more oils to the scalp, making the environment even more conducive for our dear friend, Malassezia. Essentially, it becomes a situation of adding fuel to fire. Therefore, without the right knowledge, many people inadvertently exacerbate their symptoms by feeding the cause of the problem itself. First of all, let’s get this straight: there is no cure for seborrheic dermatitis. However, it can be successfully managed with a seborrheic dermatitis shampoo. Remissions and relapses are very typical of this problem, especially when the right triggers become evident. This means that if you have it, it can come and go like an old, unwanted relative. It can resolve on its own and disappear for a while, even for years but then it can flare up again given the right triggers. Defensive strategy: Prevent flare-ups from occurring by avoiding your particular triggers. Also, stop feeding the fungus on your scalp by using oily products. Offensive strategy: Use the right seborrheic dermatitis shampoo to effectively kill the yeast and cleanse your scalp of dead skin and excessive oils. If your seborrheic dermatitis shampoo has just recently stopped working for you, it is simply because the Malassezia yeast has developed a protective film, known as biofilm around it. This biofilm renders your current shampoo, which may have been working like a charm earlier, quite ineffective or even redundant. What you can do now is switch to a product with a different active ingredient. If you’ve already done that then you may have to switch to a product with a more potent ingredient. This is the reason why a really good product can work very differently for two people with the same problem. While you will have to deal with the defensive part of the strategy on your own, we can help with the offense. There are many compounds that have shown to be effective in banishing Malassezia. Compounds like selenium sulfide and pyrithione zinc have powerful antifungal and anti-inflammatory properties that can give immediate relief to symptoms of seborrhea. Coal tar and salicylic acid have also been found to be effective even though their mode of action is different. Coal tar slows down the skin turnover rate while salicylic acid prevents oil build up in the scalp. T/Sal Therapeutic Shampoo by the same company. While there are seborrheic dermatitis shampoos in the market with powerful albeit synthetic chemical compounds, shampoos with equally strong natural ingredients are also available. 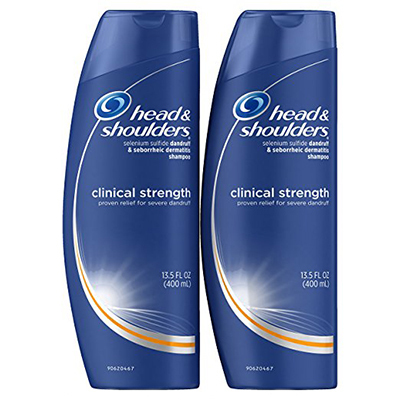 Even though Head & Shoulders typically mainly uses pyrithione zinc in their formulas, this shampoo comes with 1% selenium sulfide as its active ingredient. This is a prescription strength formula, which means that it contains the maximum approved strength for selenium sulfide. Resultantly, it’s quite potent and effective. This one is made to deal with severe dandruff and it works very effectively against seborrheic dermatitis related itching, flaking, and inflammation. Users report relief within a few washes and many of them even claim that they’ve tried everything else without avail. Users also report really clean feeling hair, which is softer, more manageable, and even more voluminous after wash. The one drawback about this product is its medicinal smell. This medicinal smell, however, can be managed if supplemented with a nice smelling conditioner, according to many users. All in all, it is a great shampoo that does what it claims to do. There is a huge variation in the price of this product. It can cost you as much as $32.29. However, spot a great deal and you will never spot a flake on your shoulder again. Who’s it for: If you suffer from seborrheic dermatitis or even severe dandruff or if you’re looking for a truly potent formula, try this clinical strength shampoo. It will not let you down. 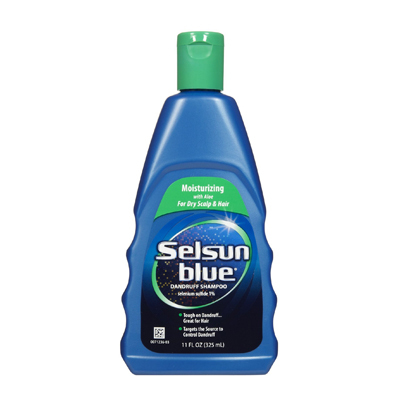 This is also a good option if you’ve tried Selsun Blue and it has not worked for you. It’s difficult to talk about Selsun Blue without talking about Head & shoulders and vice versa. It’s like they have this strange relationship. They are both heavyweights in the same category. Between the two brands, they could probably manage dandruff/seborrhea problems for 80% of the users. When one does not work, the other is bound to. So, obviously, this product has been the number one choice for users for whom Head & Shoulders has not worked. However, the users have found it superior to the H&S with pyrithione zinc formula and not the one with selenium sulfide that has been review above. This product works as it claims to. It resolves itchy, dry scalp and works really well to treat seborrheic dermatitis. Not just the one on the scalp, but also the kind that makes forays into your eyebrows and on your upper chest. It contains aloe vera in the formula which leaves hair soft and manageable after wash. Also, a lot of users report considerable improvement in their tinea versicolor (sun spots) because of this shampoo as well. Although this product works great, it suffers from that curse that most medicated products do – everybody does not like its smell. Users don’t necessarily find it bad, they just think it’s too strong. We think that when a product works so well, that’s a small price to pay. Talking of pricing, this is a really affordable shampoo. It costs only about $7 for 11 ounces of product. Who’s it for: If you’re looking to try selenium sulfide for your seborrheic dermatitis, this should be your first choice. Also if H&S (zinc pyrithione) has not worked for you, this one is bound to. Yes, we know this is a “best shampoos” guide. 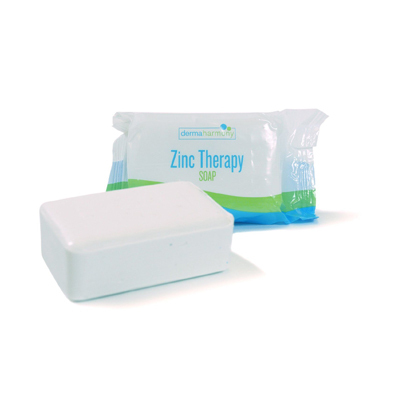 But we searched high and low for the best product with zinc pyrithione for seborrheic dermatitis out there and what we found was a soap. So, here it is. Even though it’s meant for a lot many skin conditions, we will stick to its effects on dry, itchy skin and seborrhea. On examining user reports, we found that this soap works better than some shampoos when it comes to curing seborrheic dermatitis. Users even report complete and almost immediate relief from itchiness and flaking. The company openly claims that this product is meant for use on the scalp and the face both. However, it’s understandable that most users have only tried it on the face. Considering the fact that most people prefer shampoo when it comes to hair, this isn’t surprising. The few users, who have used it on their scalp, claim excellent results. Another great thing about this product is that it’s made of mostly natural ingredients and is free of sulfates and parabens. Also, it is completely odorless. This makes it gentle and safe for use on children as well as adults with very sensitive skin. This is a decently priced product. A 4-ounce bar will cost you $7.12 and it will last a long time if stored properly. Who’s it for: If you suffer from seborrheic dermatitis on the scalp as well as on the face, this is the product for you. It is truly effective and nothing beats the convenience of using just one product for both your face and hair. This is another unusual pick, we know. Still, we find it hard to turn away when we find a truly effective product, even if it’s meant for kids. Seborrheic dermatitis which is seen in adults as flaking of the scalp often manifests in babies as well. Most people know it as ‘cradle cap’. This pyrithione zinc formula is created by a pediatrician and is clinically tested to work gently in clearing away this cradle cap. It can work the same way for clearing away adult’s symptoms of seborrhea as well. Many users, who have tried it, agree wholeheartedly. The added benefit of using this product is that it leaves your hair feeling soft and smooth since it contains no harsh chemicals. Most seborrheic dermatitis shampoos in the market are quite strong. Users with sensitive scalps often report aggravated symptoms on using such products. This product works great for users that have sensitive skin and are looking for a gentle intervention for their dry, itchy, flaking scalp. Many people with seborrheic dermatitis often report spilling over of the flaking to parts of the face as well. Since this product is so gentle, it can be used on the face as well. It’s available at a price of around $13 for an 8 ounce bottle. Who’s it for: If you have sensitive skin and are suffering from seborrhea or if you’ve ever had an adverse reaction to any one of the medicated shampoos on the market, try this product. It is as gentle as it is effective and no, you will not smell like a baby, it’s completely odorless. Coal tar has been used to treat symptoms like severe dandruff, dryness, and itchy scalps for the longest of time. Still, even with the tarnished reputation of coal tar in recent times, when a company like Neutrogena makes a coal tar shampoo, you know it’s safe to use. This shampoo contains only about 0.5% coal tar. It works by slowing down the skin turnover rate while removing the dead cells from the scalp. This product is extremely effective against seborrheic dermatitis and severe dandruff. In fact, it is equally effective against many other problems such as eczema and psoriasis. Surprisingly, it’s gentle enough for very sensitive scalps and daily use too. All users, even the ones with very sensitive scalps, report using it successfully to treat a whole host of scalp problems. It’s not surprising that it is working so effectively against seborrhea for a lot of users since it does boast of a clinically proven formula. Despite having coal tar in the formula, it is safe for colored and chemically treated hair. Even users with colored hair have reported excellent results. Despite being great in almost all categories, this shampoo too could not escape the curse of medicated shampoos. Users have not liked the smell of this product and suggest following it up with a conditioner of your choice to hide it. The company is offering this shampoo at a competitive price of $16.99 for 16 ounces of product. Who’s it for: If you suffer from severe seborrheic dermatitis or if you think you have a sensitive scalp and want to try something powerful, go for this product. It’s tough but gentle in all the right places. Users do not like the smell of this product. 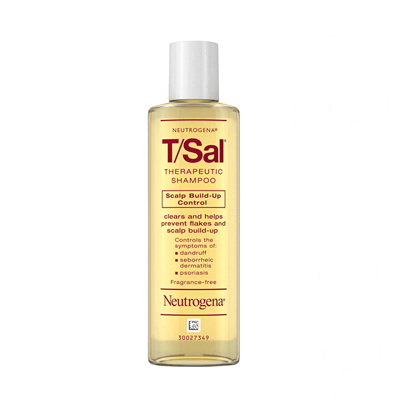 This T/Sal therapeutic shampoo by Neutrogena is currently the best salicylic acid shampoo on the market. However, let us explain why we put a salicylic acid shampoo on our list in the first place. We’ve already explained that Seborrheic dermatitis is caused by yeast that feeds on the scalp oils and produces oily flakes and dead skin in the process. This build-up of oils and dead skin formed on the scalp is what irritates and aggravates the symptoms. Salicylic acid is a great exfoliator of the skin and it sloughs off the dead skin flakes and debris from the scalp, giving immediate relief from symptoms. Since salicylic acid doesn’t have anti-fungal properties, you will still need a good shampoo that contains anti-fungal active ingredients for optimal results. However, when you do complement this shampoo with a good anti-fungal shampoo, the results can be phenomenal. You will find immediate relief from itching and flaking while your hair will feel very clean too. The company states that this shampoo should only be used 2-3 times a week. That’s really all the exfoliation you need, and in between, you can use any other seborrheic dermatitis shampoo. Something else that’s great about this product is that even though it contains (3%) salicylic acid, it is very gentle. Some people have even reported using it on their children with excellent results. It is colorless, odorless, and it is available for around $11.30 for 4.5 ounces of product. A little steep we know, but it’s not meant to be used daily and once the anti-fungal shampoo kicks-in, you can slow down your use of this one. Who’s it for: If you have seborrheic dermatitis and your symptoms lean more towards itching and flaking rather than redness and inflammation, try this product. Combining it with the right anti-fungal shampoo will show significant improvements just after a few washes. Even though it does work, ketoconazole is not the first line of treatment against seborrheic dermatitis. 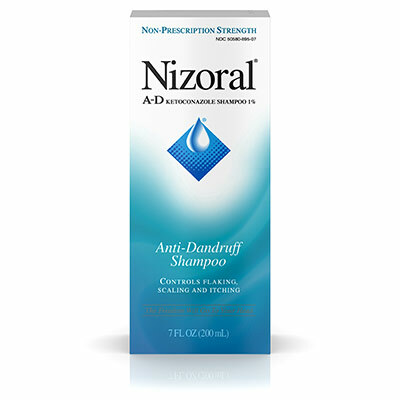 So, if you must try a shampoo with this ingredient, let it be the best one in the market, Nizoral. This product contains a non-prescription strength of 1% ketoconazole in its formula. This product made it to our list for its sheer success rate in helping users with seborrheic dermatitis and severe dandruff. There are some users reporting that they have been suffering for decades and have tried all other products on the market but only Nizoral helped. There is no doubt that this product starts helping with symptoms of flaking, itchiness, inflamed, and irritated scalp after just a few washes. With a product so effective, one would naturally think that it would be quite strong. However, it is gentle enough for colored hair and many users report softer hair after use. Even though it has a somewhat medicinal smell, users don’t report it as being unpleasant and many even like it. The price for this product is around $40.While it’s not really on the cheaper side, the company recommends using it only twice a week. In between using this product you can use any other shampoo of your choice. Another reason to try this product is that the company is offering a generous “money back if not satisfied in 8 weeks” guarantee. That’s a long trial time folks. Who’s it for: If you suffer from longstanding seborrheic dermatitis or severe dandruff that will just not go away, give this product a go. The number one reason why people, who want to try natural products, don’t is that they feel that they are not as effective. 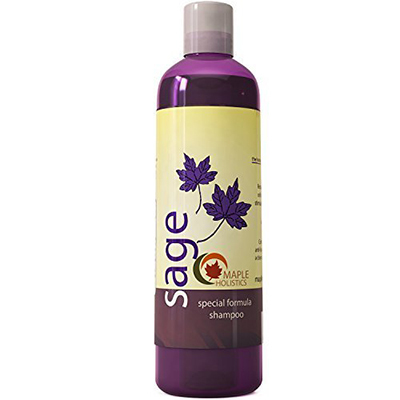 This special formula sage shampoo by Maples Holistics is here to prove them wrong. The company is marketing it as a shampoo for dandruff, hair loss, thinning hair, and even hair regrowth. What’s amazing is that it works as claimed against all those problems and then some. Why it made it to our list is obviously the fact that it is really effective against seborrheic dermatitis and severe long-standing dandruff. Users have been completely satisfied with the results it has shown after just a few washes. The sage and tea tree oils in this blend are incredibly effective but the real bonus is the argan oil and jojoba extracts. These leave your hair really soft and manageable after wash. This product is truly great because it not only resolves many hair and scalp problems buy also gives you softer, smoother, and shinier hair which is something you could never expect from a medicated shampoo. There are even users with seborrheic dermatitis claiming that not only did they see immediate relief from symptoms but now they can see new hair growth. We guess when something works, it works really well. Moreover, users are happy that they are using a natural product that is sulfates and paraben free. It is safe for all hair types including colored and chemically treated hair. It is also gentle enough to be used daily and it smells heavenly. This product is available for about $10.40 for an 8 ounce bottle. Who’s it for: If you suffer from seborrhea but are looking for more than just a medicated shampoo that will only cure your symptoms, try this one. It will not only relieve your itchy, flaky scalp but also make your hair softer, smoother, thicker, and smelling great. This is another great product by Maples Holistics. This blend contains tea tree oil, which is a well-known and very effective anti-fungal, anti-bacterial, and anti-inflammatory natural essential oil. Even though the company is not explicitly marketing it as a shampoo for seborrheic dermatitis, users report it works very well against it. Similar to the sage, special formula shampoo, this shampoo too is an all-rounder that works on multiple levels. The tea tree oils work effectively to relieve the itchy, dry, and flaky scalp caused by seborrhea. The lavender oil, rosemary oil, jojoba oil, argan oil, and botanical keratin keep the hair soft and manageable after wash. Users report the gentle tea tree tingle on application and great smelling hair after use as well. Another great thing about this product is that it’s gentle. This means that it can be used by users with sensitive scalps on an everyday basis. This product has all natural ingredients and is also hypoallergenic so it’s safe for children too. 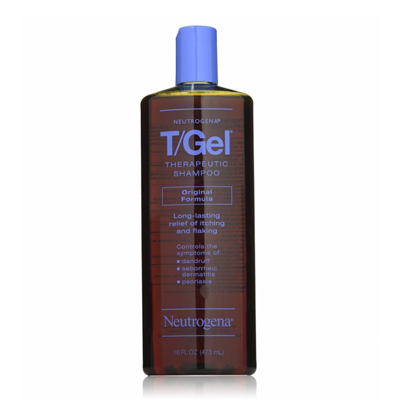 Even though it works well for all hair types, it is especially effective on oily scalps. The company is offering 8 ounces of this product for about $10.95. 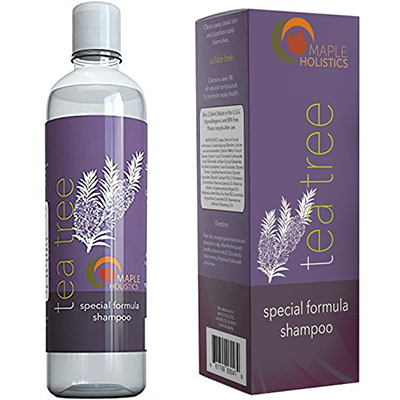 Who’s it for: If you want to try a shampoo with try tea tree oil, one of the best natural ingredients known to relieve symptoms of itching and flaking, try this one. This is a genuine product that is truly effective for seborrheic dermatitis. Although this product has mixed user reviews, there are two reasons why it’s on our list. First is that it is an all-natural shampoo and the second is that when it works, it exceeds expectations. This product contains manuka honey as its active ingredient. This type of honey is native to New Zealand and is different from regular honey for its amazing anti-bacterial and anti-inflammatory properties. Other ingredients present in this shampoo include aloe vera, coconut extract, and orange peel which leave hair feeling clean and soft after wash. This shampoo is pH balanced and therefore, can be used daily. It is also true that this product does not work as expected for all users. However, the users for whom it does work report amazing results. These same users also recommend being patient with this product as it is not really a medicated shampoo and its results are long-term in nature. The company is offering 8 ounces of the shampoo with 8 ounces of conditioner for $25. Who’s it for: If you’re tired of medicated shampoos or feel that harsh chemicals may treat your seborrhea but damage your hair, it’s time you give this a try.